All right friends – the most controversial topic in cleaning just got a little more controversial. You guys know that I clean my sealed hardwood floors with an itty bitty amount of white vinegar in a whole lot of warm water, right? If not, go to this post and then head on back here for some new insight. 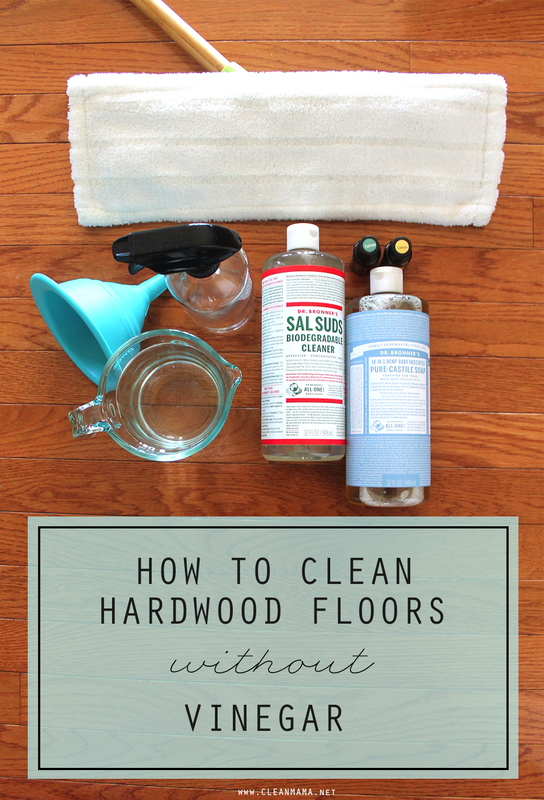 I will still stand by my original statements that washing hardwood floors with just the right amount of white vinegar is still a-okay but for those of you that doubt or just want a different solution, this post is for you! I still believe that the largest risk a floor washer can take is to use too much water or liquid when washing hardwood floors. Regardless of what you clean your floors with, make sure that you aren’t leaving standing liquid on the floors – the liquid will warp them and destroy the finish. Use a barely damp application and make sure no water is left on each section before you leave it. You’ll see that I prefer spray mops or spray bottles when washing floors – this allows me to control the application and the amount of liquid I’m using. If you want to use the traditional wet-mop method, you’ll up the ratio of water and cleaner. On to the non-vinegar method…. 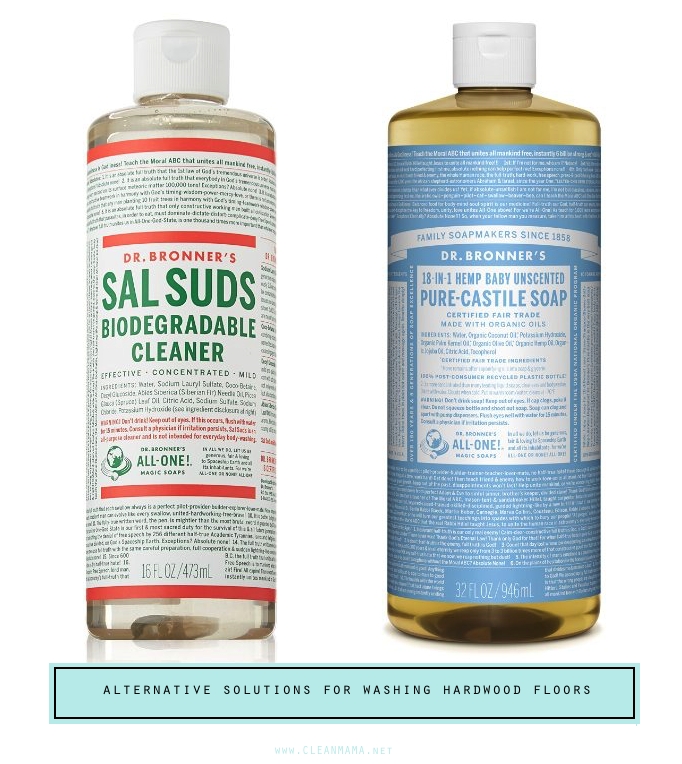 You’ll see that I recommend 2 different products/concentrates for cleaning your hardwood floors – one is a soap (Dr. Bronner’s) and one is a cleaning concentrate (Sal Suds). Both work and both are from the same company – Dr. Bronner’s. If you have castile soap on hand, try it and see what you think. If you’re looking for something new, Sal Suds is a natural cleaning concentrate that can clean just about anything. choose either castile soap or Sal Suds (both of the solutions I’m referencing are made by Dr. Bronner’s, but there are other brands of castile soap) – you’ll need 1-2 drops of the soap or cleaning concentrate (adjust as necessary – you want a little bit of bubbles, but you won’t be rinsing it, so you aren’t looking for a ’soapy’ solution). I also have darling floor cleaning recipe labels in my shop right here. 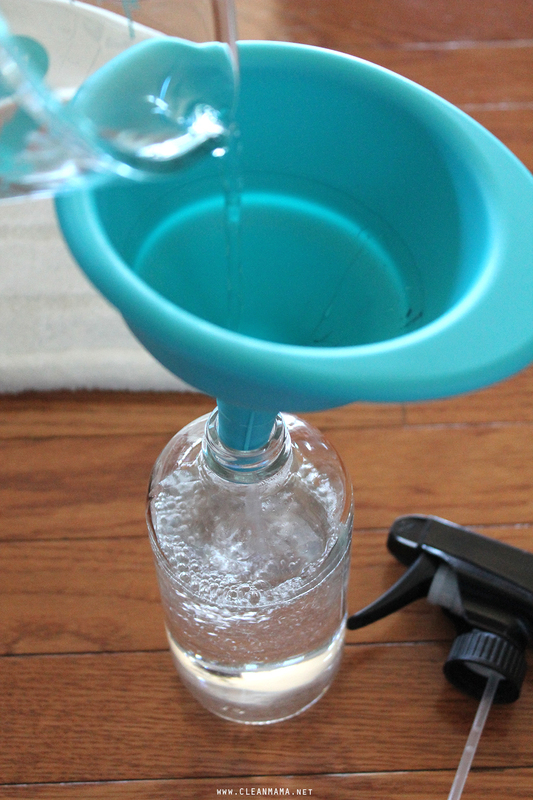 Pour the water into your spray bottle. Add a drop or two of soap or cleaning concentrate. Add essential oil if you’d like a custom scent. 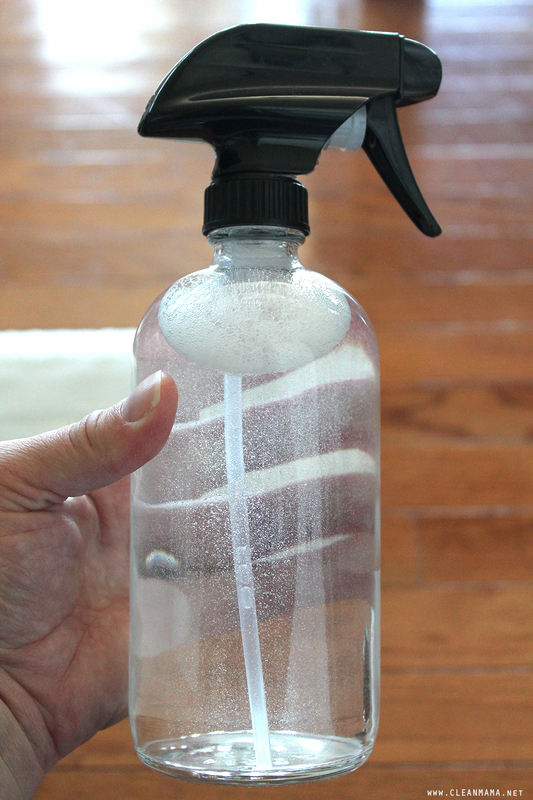 Put your sprayer on the spray bottle and shake vigorously. Grab your mop. I always recommend using a microfiber mopping pad and making sure it’s damp before getting started. You can spray it with your cleaner or dampen with water before putting it on your mop head. Work in small sections and get started – spray, mop, let dry. There shouldn’t be any standing water – wipe up any excess water as you go. How about you? What do you use to wash your hardwood floors? Are you going to try this non-vinegar method? 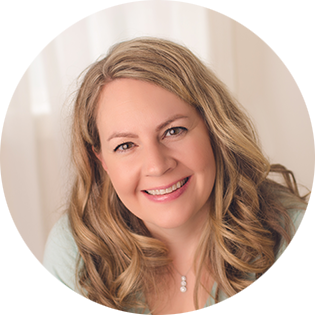 There are affiliate links in this post – go here to see my full disclosure policy. What else could you use this mixture for? Would you recommend this same solution on laminate floors? I currently use Bona laminate floor cleaner but would love a natural alternative. I have been on my hands and knees doing my floors in the past, but I’m at an age now, that I don’t care to do that any longer. I have a spin mop that I use and make sure all of the water is out before I work on the floor, so far I’ve not had any problems, but I’m always looking for something new to try, right now I’m using a floor cleaner from pledge. I used to use the Bona spray cleaner. Lately, I have been putting a little Murphy’s oil soap in a bucket of warm water and washing on my hands and knees. 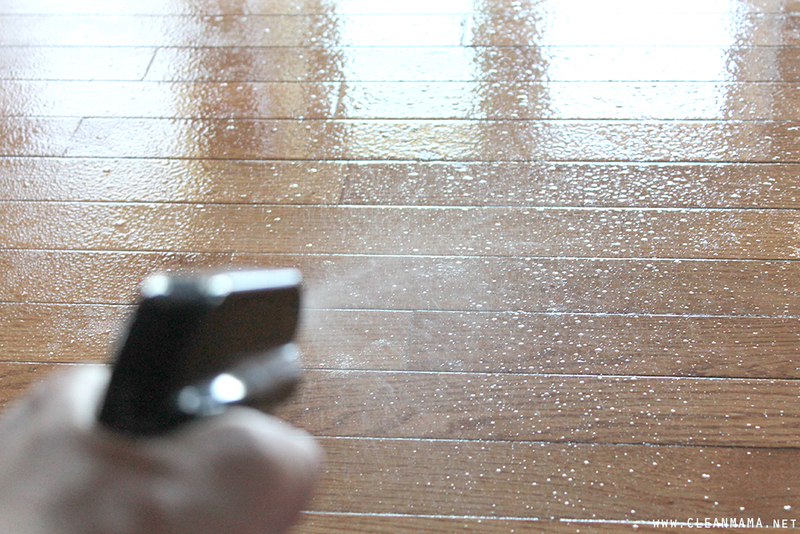 How about a steam cleaner for cleaning old fashioned wood floors? 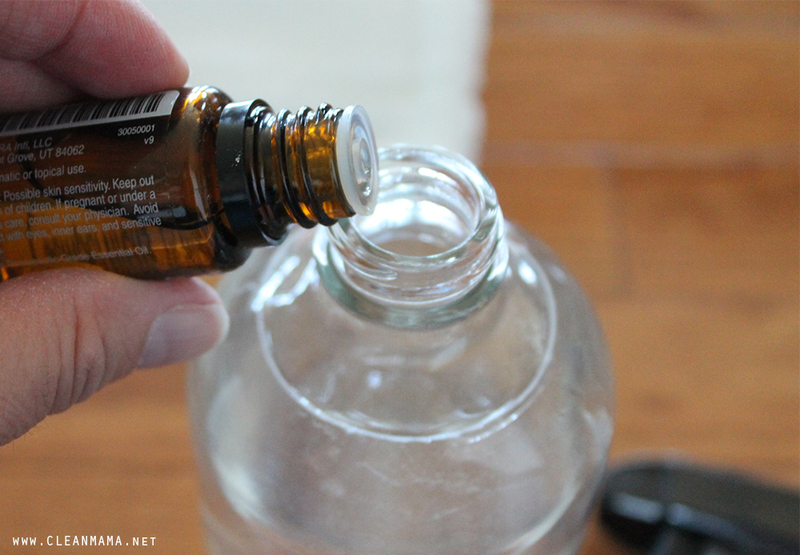 Is there a reason you prefer a glass spray bottle over plastic? Glass keeps anything (like essential oils) from leeching through the plastic 🙂 and I like the feel of them better too! Such a good tip! Thank you! I am looking for a new mop and saw on your prior post that you used a leifhiat mop. Do you still use that one or do you have another that you recommend now? I need help with my floors. 2. They are “handscraped”. Read: pretty texture until you want to clean. 3. Someone used too much vinegar and they seemed tacky and have been dull ever since. I started out scrubbing by hand one tiny section at a time, but it’s woefully slow bc I can’t do it often. Will Dr Bombers help with the tacky? Did they get ruined? Do you have a good mop suggestion for hand scraped? I’d try the Dr. Bronners and see if it helps with the tackiness. You could also use a little wetter mop and hand dry section by section. I use a Libman mop with a container I can add what ever cleaner I want to it. So far loving water, vinegar, couple drops of dawn. Going to switch it up to dr.bronner (always have it in my shower), essential oils, vinegar, water. I used to clean on my hands and knees. So done with that nonsense. This libman mop has great coverage and I love the cleaning pad. Can this solution be used on kitchen cabinets? What do you think about using Mrs. Meyers products for wood floors and furniture? Her soaps are all natural and already scented. I have cleaned houses before and I love oddly enjoy cleaning 🙂 Mrs. Meyers all-purpose concentrate left my floors with a residue but I know they are okay for wood floors. Are there any essential oils that you have found work best for this? We’ve been using Sal Suds for years in our family cleaning business and highly recommend it with a bit of wild orange oil. 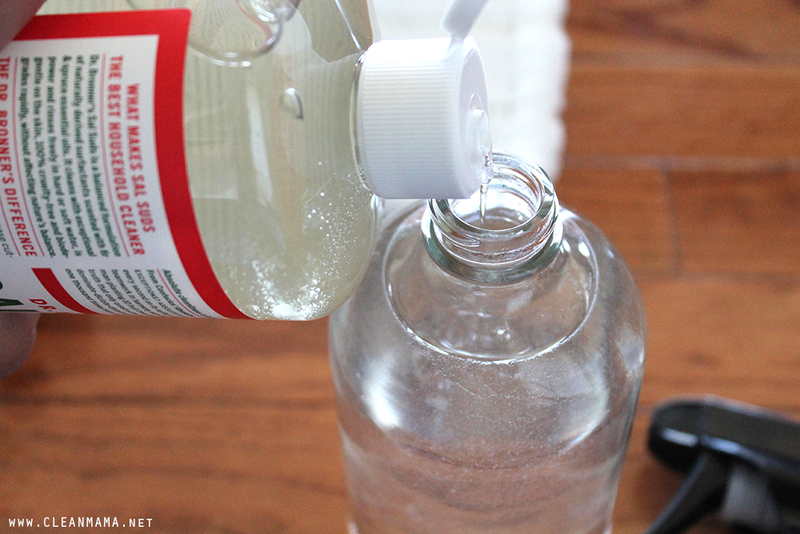 Where did you buy your glass spray bottle? I’ve looked everywhere for this,and finally found the one with the blue label,but I could not find unsecented, its peppermint. Can I use this on my wood floors?? Love that glass spray bottle. I see that you have mentioned selling it above. Do you sell your own cleaning solutions as well ? What other essential oil combos would you suggest?i was told not to use anything acidic on my new floors, so the lemon scares me! I love Castile! Thanks to you, it has changed my life. No more film on my newly mopped hardwoods! 🙂 I also use a spin mop. You can spin almost all of the excess water out & not have to touch the mop! My hardwoods twinkle like new and mopping does not seem like such a chore anymore. What would you recommend for wiping down wooden chairs? I had used vinegar but noticed it was dulling the finish. What would you recommend for laminate wood flooring? Thank you ???? Thank you for this idea. I needed something that wasn’t abrasive. I use one third of a drying mat to wash and another third to dry on the bottom of my Swifter. Then I turn them over to use the other side. Drying mats are microfiber and you can get them for under $5.00. I also use drying mats for dusting floors. I have a question about the amount of soap to use in the spray bottle. Under the “Dilute! Dilute! Ok!” phrase from the Dr. Bronner Pure-Castile Soap, it lists to use 1/4 cup of soap to a quart of water in a spray bottle. As a quart is 32 oz., if I use a 16 oz. spray bottle, then I would use 1/8 cup of soap. But you’re saying to use 1-2 drops. This is a big difference. So the 1-2 drops of soap ratio you’re using is more suited for hardwood floors? Can this same ratio be used for other purposes or is more soap needed? The one to two drops is so that you don’t need to rinse the floors – you can add more if you’d like but you’ll probably need to rinse as well. Speaking of rinsing, I always thought after spraying a surface with soap and water you clean it up with a dry towel. I’ve also read someone else talking about rinsing as well. So let me get this straight. Is this the correct procedure? This is an older post, but I’ve used very diluted Dr. Bonner’s Castile peppermint soap on my laminate wood floors for years and I love it! I’ve never had any problems. Do you need to use warm water each time you use the solution or just the initial time when making it? Just when you mix it up! Hi, I have a bona spray mop.Can i use this solution to clean the floors using the bona mop? I use your vinegar method on my floors. I feel that they are clean but wish that they were a little more shiny. Do you think there is a better method for achieving that? Thanks! 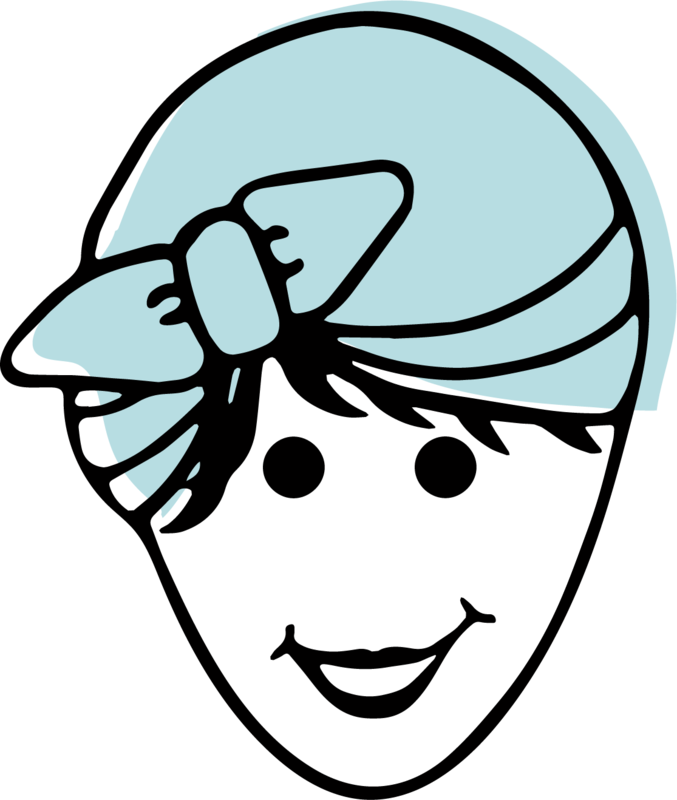 Your website is my go-to for all my cleaning questions! Try rinsing your mop head as you’re using it – sometimes there’s a little haze from the mop and rinsing will take care of that. I would like to use this solution in a bucket of water. I cannot squeeze the pump on the bottle due to joint problems. Very ouchy. So good old Bucket and a well wrung out mop. Do I just mix up a very large quantity to fill the bucket or do you have a proportion that works well. Love your site! What would recommend for slate floors? It is so hard to get clean. I can’t wait to try this recipe on my sealed hardwoods, but first I have an issue. There are black scuff marks from a chair on my hardwood that I can’t seem to remove. Do you have any ideas or suggestions on something strong that will remove the black but not ruin the finish? Thanks in advance! Does it matter what “scent” Dr. Bronners you use? Have a little one crawling all over floors so would love to use something gentle like this! I saw almond and citrus in our local store and thought about trying one of those vs. Adding Who’s. 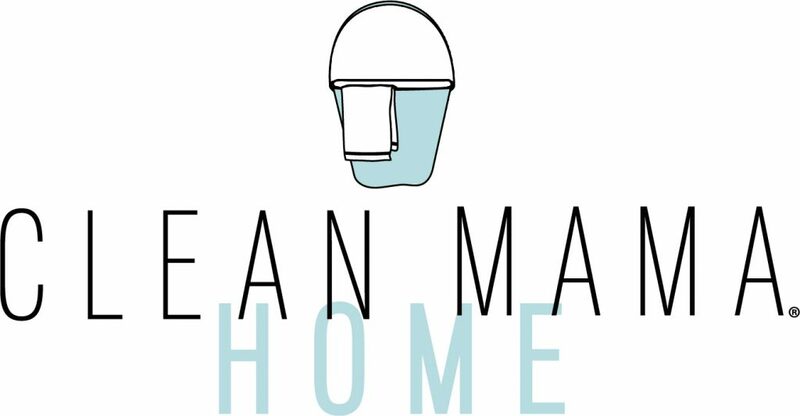 Love your blog, thanks for making cleaning easy! Does it matter what “scent” Dr. Bronners soap you use? Wanting to try this on my engineered hardwood floors with a baby crawling all over. Thanks for making cleaning easy! I just use simple water and towel. No cmemicals.